Was Alexander Reinagle even an “American” Composer? 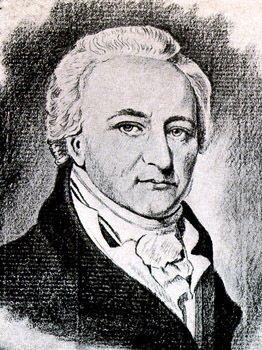 Alexander Reinagle is credited as being one of the first American composers to publish American music along with John Aitken. 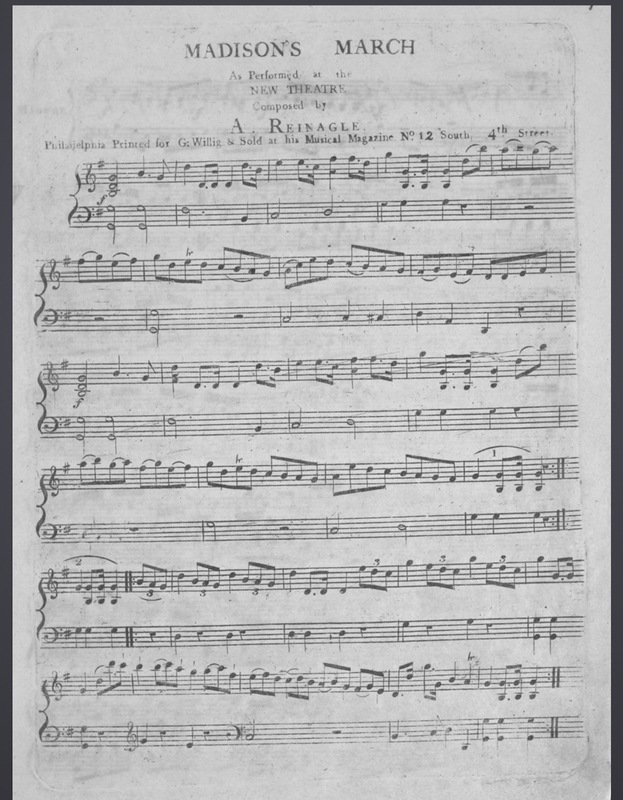 Reinagle was the first to “monopolize” the sheet music industry. He himself was able to teach, compose, publish and distribute music. We credit Reinagle’s work as American…but was it? Much of his work is simply a continuation of European music and styles. It is first important to acknowledge reasons why Reinagle’s work is considered American. Firstly, Reinagle composed, published and distributed music in America. He resided in Philadelphia and wrote many works such as the Philadelphia sonatas and established himself as a composer of American piano works. He also established himself as an important figure in the American sheet music business concentrating on the home music making. Publishing music that was appealing and accessible to many people was the goal. Another reason he is considered an American composer is because of the songs and pieces that he wrote. For example, short piano pieces like Mrs. Madison’s Minuet and Madison’s March were written about President James Madison and Dolley Madison. 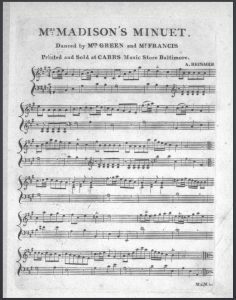 Madison’s March sounds especially militaristic and patriotic, suggesting that an American identity is associated with this song. There are militaristic idioms like dotted rhythms and a feeling of cut time, which is very characteristic of American Marches. Taking a closer look, it is clear that many of Reinagle’s pieces exhibited European elements. For example, both Madison’s March and Mrs. Madison’s Minuet were composed in a binary form, a precursor to sonata form, which was popular in European music. The tonal organization and harmonies fit into the basic phrase model in European music as well. The phrases are balanced and end in with a dominant to tonic motion. CPE Bach influenced many of his pieces. Reinagle draws on European musical styles, yet the subject of his works are very much American. Because Reinagle was an influential figure in the spread of music, the music he spread was inevitably labeled American. Using European music, he established and American sound by following the example of the European style, which he might have seen as superior. It is interesting that looking back, we see Reinagle as an American composer yet it is likely that he thought of himself as an advocate for European music. Why was he considered an American composer? Was it simply because he was physically in America when he composed? Is it because the subject of his songs was American? Or is it the way he produced and sold music? Whatever the reasons may be, his intentions and where he received inspiration mark him as a continuation of the European tradition. Reinagle’s career was still very important to the history of American music. His music and ideals helped spread European music to America as well as setting a precedent for the publication and distribution in the sheet music industry. It also perpetuated a divide between the vernacular and cultivated music, which is relevant today. Crawford, Richard. “Home Music Making and the Publishing Industry.” America’s Musical Life a History, Norton, 2001, pp. 221–226. Frank Kidson, et al. “Reinagle.” Grove Music Online. Oxford Music Online. Oxford University Press, accessed October 23, 2017, http://www.oxfordmusiconline.com/subscriber/article/grove/music/23124pg2. Muller, Joseph. Alexander Reinagle. Philadelphia.